The Yung Rich Nation cut is the newest in the never-ending list of summer southern rap anthems. Days after the official release of Yung Rich Nation, Migos introduced the video for its heady summer anthem 'Pipe It Up'. 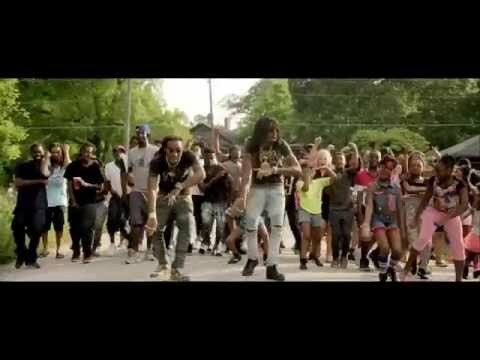 The straight-forward video follows Quavo and Takeoff through the neighborhood setting, grabbing an all-age group for the southern rap anthem. Noticeably absent from the video, however, is group member Offset who faces more charges after the trio was arrested for felony drug possession, bringing a loaded gun onto a school campus (Georgia Southern University), and a marijuana misdemeanor according to Stereogum. Watch the video for 'Pipe It Up' below and grab Yung Rich Nation now on iTunes.